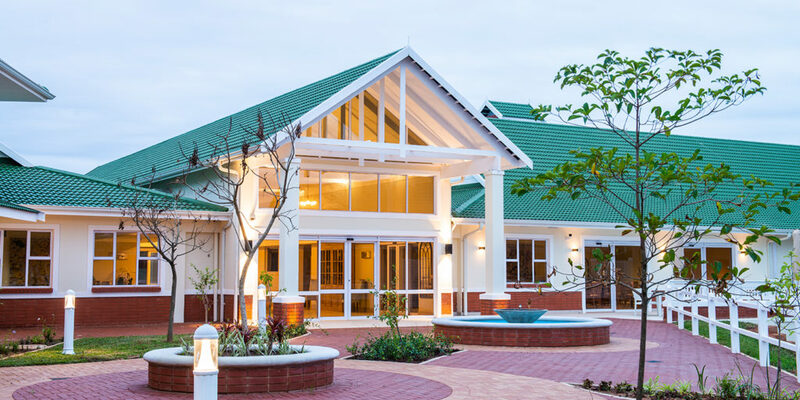 Mount Edgecombe Retirement Village > News > News > R95 million Mount Edgecombe Care Centre to open on schedule. R95 million Mount Edgecombe Care Centre to open on schedule. The Mount Edgecombe Care Centre at Mount Edgecombe Retirement Village is due for completion, as scheduled, in April 2019. Part of the promise to owners and buyers, by the developers, Collins Group, is that the care centre will be the first completed component within the development. “The decision to operate the Mount Edgecombe Care Centre seemed a natural step for us – a top-quality residential development should provide premium onsite care services for its residents; we want people to choose to live here because they know there is a best-in-class care facility to cater for their needs at the different stages of their lives. The Mount Edgecombe Care Centre is a synthesis of our many years of specialised industry experience and the best of our tried and tested methods and the wealth of experience and expertise of the Collins Group as developers.” says Cornel Nieuwehuizen, Director of Totalcare. With a substantial national footprint as a premium care provider, Totalcare operates 7 care centres in South Africa. Specialising in integrated Gerontology, Totalcare adopts a multi-disciplinary approach to operate top-quality care facilities for elderly people and the frail including Assisted Living and Home-based care. Operated by Totalcare, The Mount Edgecombe Care Centre will include a range of services depending on the level of care required including basic to permanent medical assistance, flexible roaming nursing for minor and major medical check-ups in the comfort of your own home, and specialised Alzheimer’s and Dementia care for residents of Mount Edgecombe Retirement Village and its Assisted Living and Frail Care residents who reside in the Mount Edgecombe Care Centre. The development of the Mount Edgecombe Care Centre comes after careful consideration of the needs of the underserviced retirement market in KZN. “The Mount Edgecombe Care Centre was always part of our development plan and provision was made for this from the outset. We wanted to partner with a care provider who could offer a modern, considered, holistic and top-quality facility, and Totalcare is one of the best specialist care providers in the industry. The Mount Edgecombe Care Centre will be a point of difference in the retirement market; we have invested R95 million into developing the facility Centre and have undergone a very thorough and systematic process to deliver the Care Centre on time, and before the first residents take occupation. The fact that the centre Care Centre is not beholden to sales achieved within Mount Edgecombe Retirement Village is testament to our commitment” explains David Cameron, Director of Cameron Property Group and Development Representative of Mount Edgecombe Retirement Village. The Mount Edgecombe Care Centre will take its offering a step further to include social spaces like a craft room, organised social activities and meals and refreshments prepared in-house and enjoyed from the dining areas and lookout deck. The Care Centre includes other elements to aid in making life easier for residents such as the onsite physiotherapy and hair salon. The already-secure surroundings are further bolstered by security cameras within the building and attentive and qualified staff including medical professionals, doctors, Matrons, kitchen, laundry and cleaning services. “ Regionally, there is a shortage of quality retirement living offerings and we have developed Mount Edgecombe Retirement Village to provide broad-based retirement living options for active over-50s to older folk who may require greater care and additional daily services. With zero transfer duty Mount Edgecombe Retirement Village provides a myriad of living options within entirely-secure surroundings and great accessibility in terms of location and proximity. For many families, knowing that their loved ones are well looked-after offers peace of mind, and knowing that Mount Edgecombe Retirement Village is developed by the Collins Group means that owners and residents are ensured of the utmost professionalism and quality.” Ends Cameron.